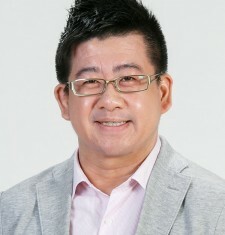 Vincent graduated from City University of Hong Kong with a Bachelor of Business Administration (Majoring in Marketing) and he also holds a Post-graduate Executive Diploma on Strategic Brand Management. Before setting up Nimbus, Vincent had worked in multinational research agency – Nielsen and Ipsos (formerly Synovate). He served clients across different commercial sectors including FMCG, Retailing, Skincare & Cosmetics, Telecommunications, Banking & Finance, Information Technology and Education. He has worked on various types of research studies that focus on new product development, usage and attitude, shoppers’ behavior, employee and customers’ satisfaction, commercial development and brand equity research, etc. Vincent found Nimbus Insight Limited in 2013. Apart from using conventional research methodologies, his team developed an interactive mobile survey platform – “OneOpinionBox” which facilitate a more handy and efficient way in collecting customers’ feedback.